Few holidays provide as much inspiration for fun kids crafts as Halloween. 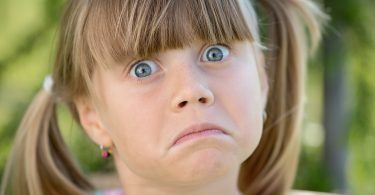 Whether your kids are into spooky ghouls and goblins or silly googly-eyed monsters, there is something fun for everyone. 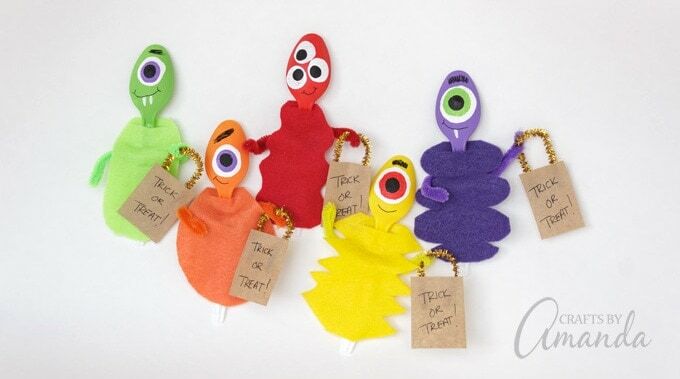 Halloween crafts can be a great activity for a classroom Halloween party. 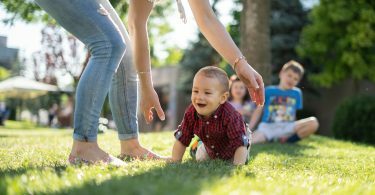 They are also fun to make at home as a family. 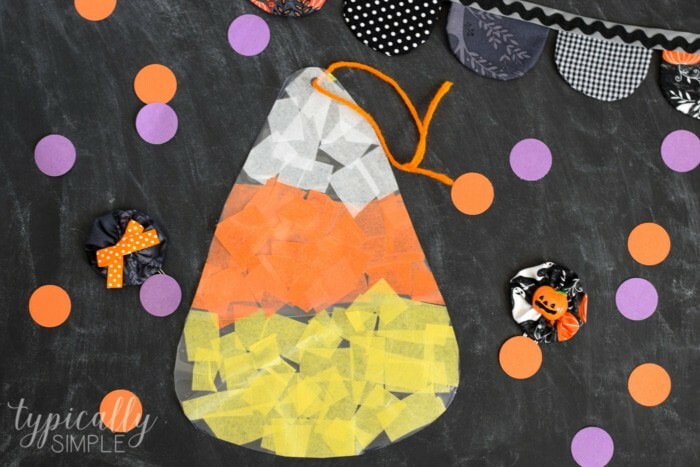 Get inspired by checking out these easy Halloween crafts for kids! 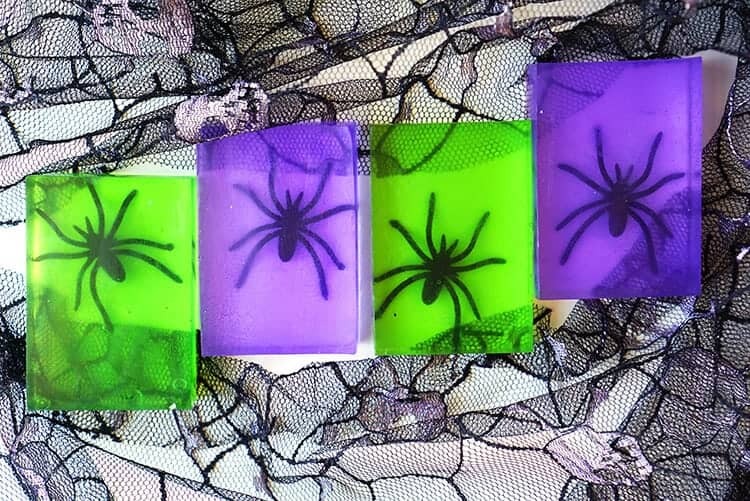 These spooky spider soaps are fun for the whole family. 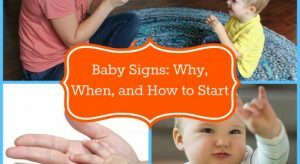 They only take about ten minutes to make and your kids will love the results. This Halloween craft is a perfect activity for a kids Halloween party. Or to give away as a party favor or non-candy treat for trick or treaters. Candy corn is something I absolutely associate with Halloween so I love this craft for kids. It’s simple enough for even toddlers to make. And candy corn is fun, not scary, so no worries about frightening the little ones. I love no-carve pumpkin ideas! You can get so creative and it usually makes less mess than actual pumpkin carving. 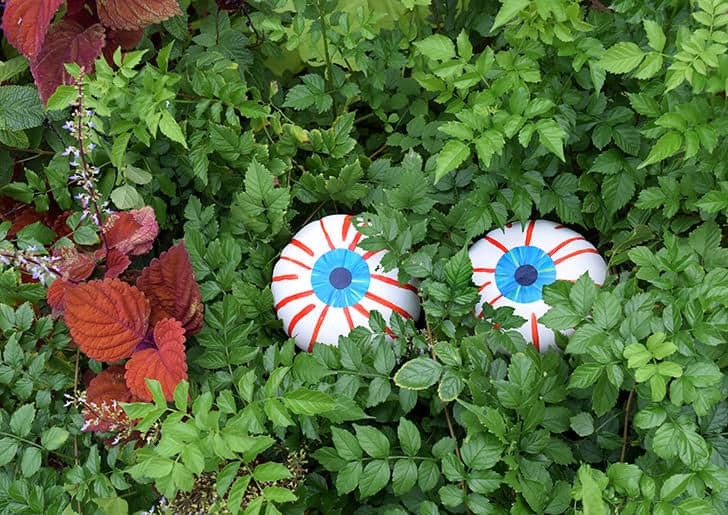 These no-carve pumpkin eyeballs are super fun! And will delight your kids as well as any trick or treaters that spot them around your house. I always enjoy crafts that use paper plates. And this paper plate black cat is no exception. It’s easy for kids to make and use as a festive Halloween decoration. 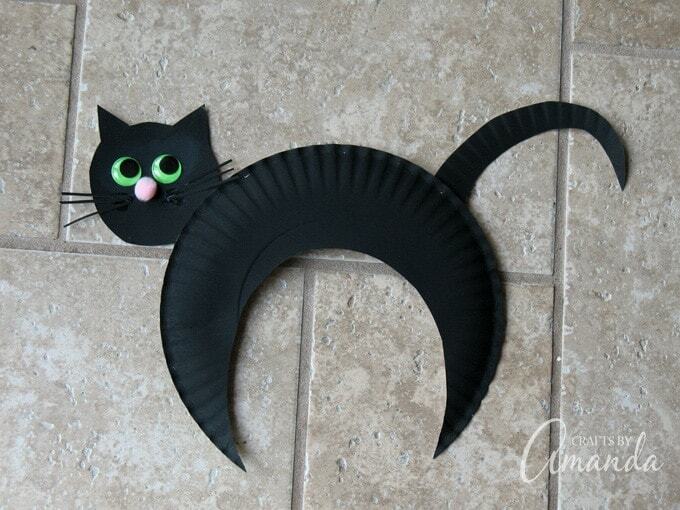 The black cat is a Halloween critter that is more cute than scary, so this craft is fun for kids of all ages. Another fun craft that is more cute than scary, these monster buttons are a perfect Halloween project. 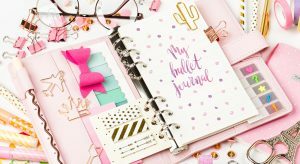 Once you buy the design buttons, everything else you need is probably already in your craft supplies. I like these because you don’t need artistic talent to make them look good. So, all the kids will love their finished product. This is the first time I’ve used plastic spoons in a craft and I have to say, I love the results. You will too! And so will your kids! These plastic spoon monsters are adorable and simple to create. Plus they make great puppets if your kids want to play with them after craft time. 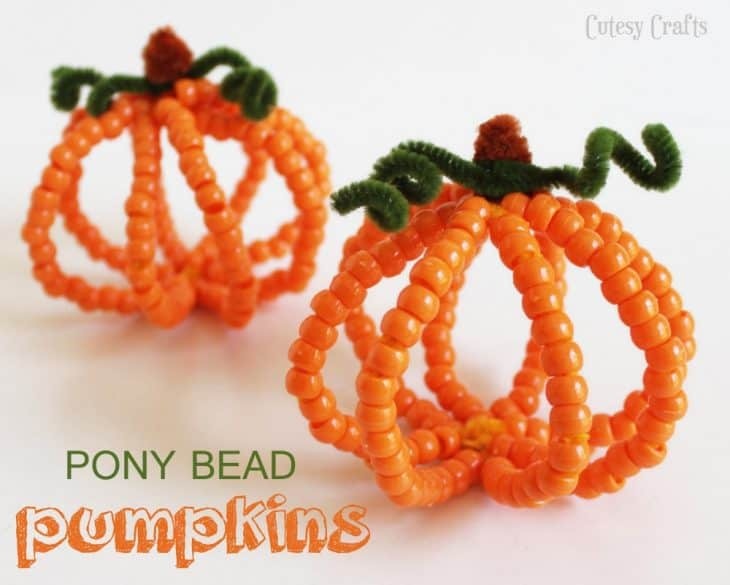 This Halloween craft is a good one for slightly older kids with the patience to do a little beading. And the results are very charming. This is a Halloween craft you can use to decorate throughout the fall season. 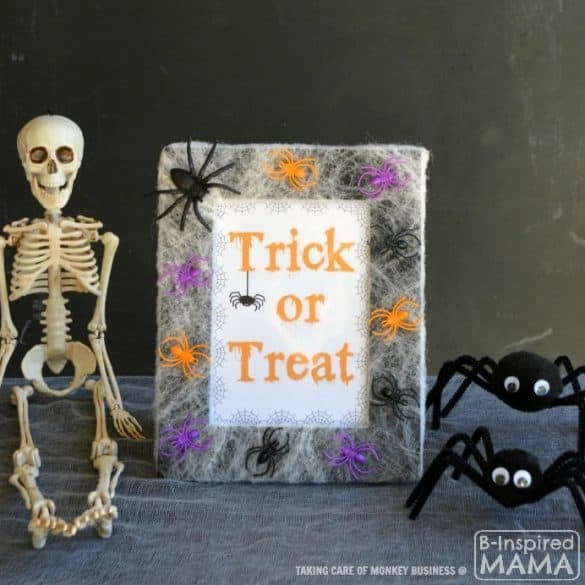 If you’re looking for a craft that doubles as Halloween decor for your home this spider web frame is perfect. It’s easy for kids to make with a little help from a grown-up when it’s time for the hot glue gun. And it makes a fun party activity for kids to take home. 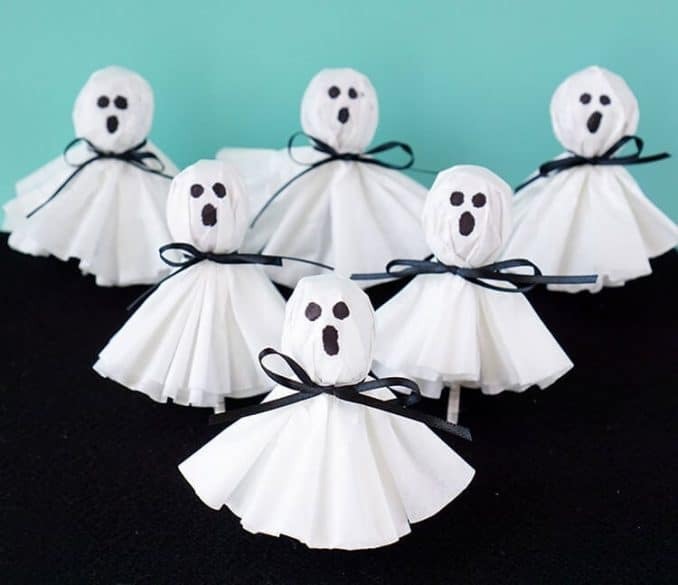 I had to include this craft because ghost lollipops were a staple of my childhood Halloweens! And kids still love them! This version uses coffee filters instead of tissues, which works really well. Your kids can help you draw the faces and assemble the ghosts for passing out to friends or trick or treaters. 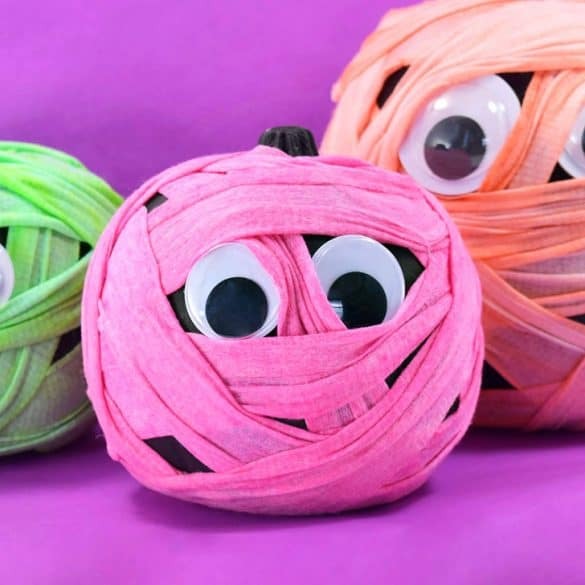 To get really creative with no-carve pumpkins, check out these mummy wrapped cuties! This Halloween craft will take some help from an adult for younger kids, but it will be worth it. They are fun to make and even more fun to display!